Attorney Sean Kendall won Total Disability Individual Unemployability ("TDIU") benefits for a client based solely on the client's lacerated pinky finger. His story follows. Our client, James, heroically served in the late 70’s and early 80’s. While, fortunately, he made it home safely, he suffered one injury while on active duty that has caused more issues than he could have ever imagined: a lacerated pinky finger. After the necessary surgeries, the problems associated with the laceration grew to include immobility of the joint, donor site scars on his forearm, and constant pain from the scarring on his hand. With only three years of high-school education and no other training, James found work as a maintenance laborer, a demanding job that provided no respite for his hand. Despite the pain, James had to make a living, so he continued in the field for 24 years until, in 2011, James’ employer recognized that his disability rendered him unable to work and offered him disability retirement. 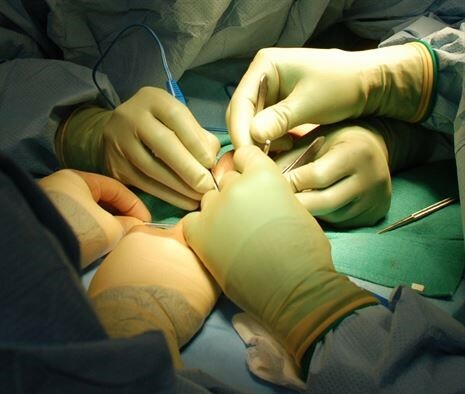 When James initially applied for disability benefits through his local Department of Veterans’ Affairs’ (“VA”) Regional Office (“RO”), they assigned him a 40% disability rating for the laceration of his pinky finger with joint stiffening and nerve involvement and a 10% disability rating for the painful scarring associated with surgery. While these ratings provided James with some compensation, it wasn’t enough given that fact that he was truly unable to work. Generally, TDIU, which automatically grant the veteran a 100% disability-compensation rating, are available to veterans who are unable to maintain meaningful employment due to a service-connected disability, however the requirements can be stringent. To qualify for TDIU, veterans must have either one disability rated at 60% or several disabilities which make a combined 70% disability rating, one of which must be at least 40%. Therefore, technically, James did not qualify. There is one option for veterans who fail to meet this initial threshold – they can ask for the Director of VA Compensation Service (“Director”) to evaluate her or his individual circumstances and make an exception. However, in this case, James’ request was denied. That is where Attorney Sean Kendall stepped in. With the help of Attorney Sean Kendall, James appealed his TDIU denial to the Board of Veterans’ Appeals (“the Board”) and won. It was a tough case – many of James’ records were against him. The Social Security Administration and VA had both found that James was capable of working. However, Attorney Sean Kendall didn’t take no for an answer. He skillfully directed the Board to the evidence that really mattered: the fact that James’ own employer had deemed him unable to do the job, the fact that James does not use his right hand because of the pain, and the fact that, in July 2014, the VA medical examiner found that James’ disability “as likely as not” kept him from maintaining employment – all of which contributed to the undeniable conclusion that in reality, James could not work without significant pain and was a perfect candidate for TDIU benefits. After considering the evidence, the Board reversed the Director’s decision and, recognizing that James’ very real physical limitations preclude him from both manual labor and sedentary work, granted him TDIU benefits. For James, the Board’s decision isn’t just about money – it is about hope and stability. It is about the fact that, now that James doesn’t have to work, he can meet his basic needs without enduring severe pain day after day. We think that all veterans deserve that kind of peace of mind. If you or a loved one have been through a similar experience, don’t hesitate to contact us. With decades of experience appealing denials and unacceptable rating decisions issued by RO’s, we are confident we can win you the benefits you deserve. When you are ready to appeal your RO’s decision, send us a note or call us at (877) 629-1712. In the meantime, start preparing the best TDIU claim you can with the tips found here. Disclaimer: All names and places have been changed to protect confidentiality. Every case is different and results will vary depending on the facts. Call us at (877) 629-1712 to discuss the facts of your case.